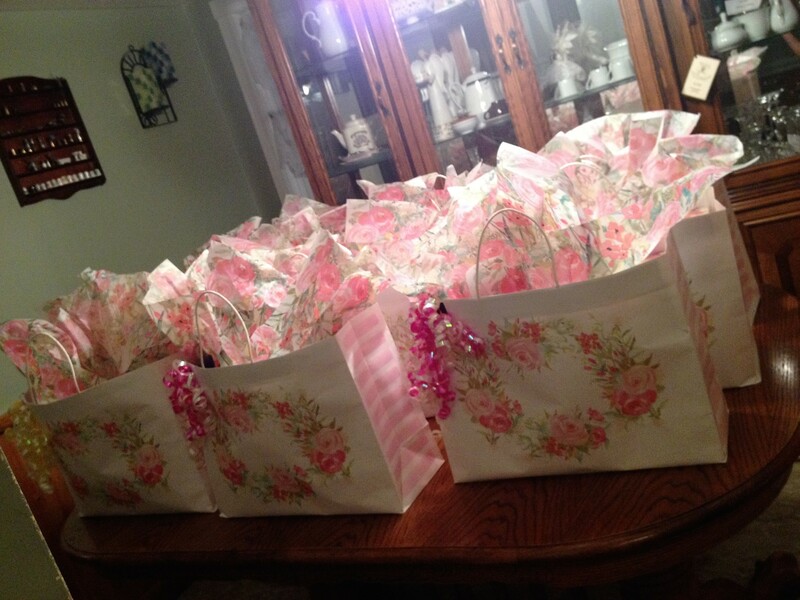 Mother’s Day Gifts Bags Brighten Holidays For Women In Shelters! This is out THIRD YEAR coordinating and participating in this very special project. 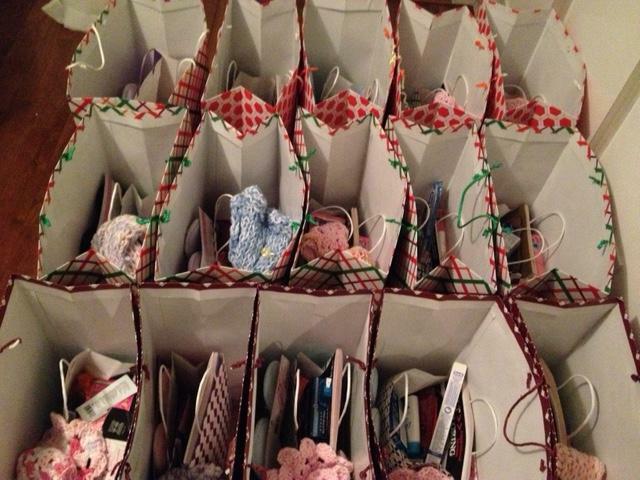 Your contribution makes a difference and brightens the holidays for women in shelters!Our team at Don of all Trades Professional Home Maintenance Services is proud to post that this is our third year putting these very special gifts bags together and look forward to dropping them off just in time for Mother’s Day. 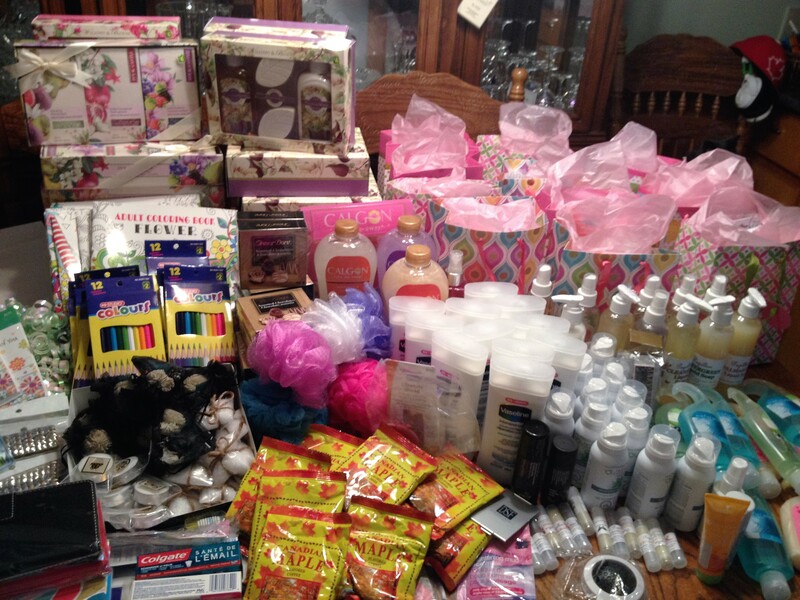 Help us celebrate Mother’s Day on Sunday May 12, 2019 this year by donating items to put together into our 15 Gift Bags that will be donated to the women at Herizon House Women’s Shelter! A total of 15 Mother’s Day Gift Bags will be given away with the help of some wonderful angels who give from their heart. Just a sample of what our team at Don of all Trades Professional Home Maintenance Services donated along with so many angels in our community who gave from their hearts in 2018! We are accepting collections of donated items for these very special gift bags starting Monday, February 18- Monday, May 6, 2019. Throughout the week of May 6-10 we will be assembling all gift bags and making the final delivery to the proper administrative staff that work for the Shelter. Your donated items that will be included into our 15 Very Special Gift Bags will help brighten the holidays for women in shelters. Scarves, Journals, Adult Colouring Books, Pencil Crayons, Slippers, Chocolates, Mini Manicure Sets, Lufas, Timmy’s Coffee Cards, Hand Creams, Bubble Baths, Gift Cards to Walmart or Shoppers Drug Mart, Jewelry, Wallets, Bath Salts, Bars of Pretty Soaps, Body Care Products and Face Clothes & Hand Towels. Get Inspired. Watch Our Video! Visit our Don of all Trades Helping Hands Building Trees of Hope Program Face Book Community Page for regular updates on how we are helping make a difference in the community. Where to Donate Your Items? Live in the Durham Region? Perfect! Please contact Volunteer Coordinator, Yolanda D’Orazio by email at: helpinghandsprogram@outlook.com for more information on how you can help. Our community page is one of our favorite pages we’ve made changes to. This page has been completely redesigned including more in-depth information about our Helping Hands Building Trees of Hope Program, Friends Who Have Donated A Helping Hand, Our Memories of Giving Back Videos over the years and so much more! Every donation adds a new Helping Hand to our Helping Hands Tree of Hope, a symbol of commitment, inspiration and community from wonderful donors like you! Kind words from the staff at Herizon House…We are so excited to receive and distribute the Mother’s Day gifts to the women in shelter. Our sincere thanks to all those who are contributing, and especially to Don of All Trades for this wonderful effort. 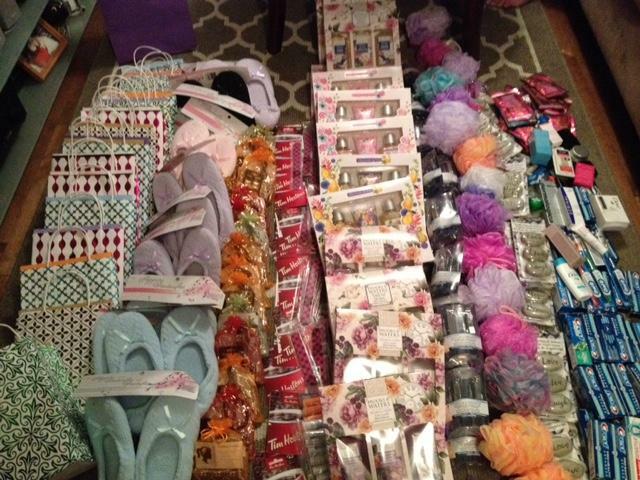 These beautiful gifts will warm the hearts of women fleeing abuse in this community. With the support of donors like you, we can help ensure that women and children can live without fear and the programs at Herizon House can continue. We’re so much more than a great Local Home Improvement Company in the Durham Region. Find more about us at http://www.donofalltrades.ca! Spring is the time of year when everything in nature is changing and promising new life and new hope. After the long, dark, winter months, spring is literally a breath of fresh air. It’s no wonder we get inspired to carry the freshness of this season into our homes. Spring cleaning is the perfect way to get organized and make your home as lovely as the season itself. Finding the right solution for organizing your home can make such a difference in the appearance and functionality of your home. Below are 4 organizing solutions that can help you clean, organize and rejuvenate you home. The decluttering process, for some people, can be on the most stressful first steps in the process organization because they are unsure of where to start and what to get rid of. RELAX AND BREATHE. Just take it ONE ROOM at a time. There’s no need to worry about trying to get the entire house done it one day. It’s better to take your time and get it all done right then to rush through the process and to end up with unnecessary clutter in your home. This is one of the most important steps in getting organized because it will free up so much extra space in your home. So how do you decide of what to get rid of? A good rule of thumb is to keep this in mind to go by is this :IF YOU DON’T LOVE IT AND YOU DON’T USE IT, THEN IT’S CLUTTER! Don’t be afraid to get merciless with this process. The more you declutter the less you will have to clean and the more balanced both mentally and physically your life will be. Discarding and recycling unwanted items will give you so much more space to get neat and organized. One of the biggest reasons our homes get out of control with clutter is because we do not have designated places for all our items. Giving your items a “home” is the best way to get organized and keep it that way. Choosing storage solutions like affordable plastic containers are fantastic because they come in a variety of shapes and sizes. Wide flat containers are an excellent choice to be used for storing seasonal clothing under a bed. Stack containers in closets for storing shoes and accessories. Use smaller containers to organize the contents in drawers such as pens, note pads, small toys, etc. Grab a few glass jars and chalk and you now have an adorable way to organize your kitchen pantry. Finally, use hooks wherever needed. Hooks are great in closets to house jewelry and are also perfect in laundry rooms for hanging brooms, mops and ironing boards. Consider adding shelves as this is a great way to provide storage in just about any room. Consider the option of using decorative shelving with hooks and pegs in your kitchen for storing mugs, pots and pans or cooking utensils. Add some shelving to a living room to make extra space for books, pictures and other decorative items. And don’t forget that closets could always use a little more space for storage. By simply adding shelving to closets, there is now a designated space to make room for those bulky sweaters, bags, shoes and other personal items. At times we get so caught up in looking after organizing the inside of the home at we neglect the outside like the garage for example. The garage doesn’t have to be a designated space for parking only. Putting in the time and effort to organize your garage will open up so much great valuable space for storage. Utilize the same concept of organizing the inside of your home for your garage space as well. Decluttering, using labeled containers, and adding hooks and shelving can turn a garage into a perfectly organized storage space. Use hooks for hanging jackets, bags, and muddy boots. It’s time to get organized and there is no better time than spring. If you follow these helpful tips, your home will feel as fresh as this beautiful spring weather. You will be ready to sit back, sip some lemonade, and enjoy the season. Have a question or need some assistance with your home improvement project? Get in touch with us. We’d love to hear from you! Leave a comment below or call us at 905-259-5249. Please donate to our Helping Hands Building Trees of Hope Project! Every gift is a gift of hope. Your donations make a difference in the lives of women and children who are survivors of violence and abuse that are provided with a place of safety, support and hope at Herizon House women’s shelter. You can help improve the lives of abused women and children in the community. 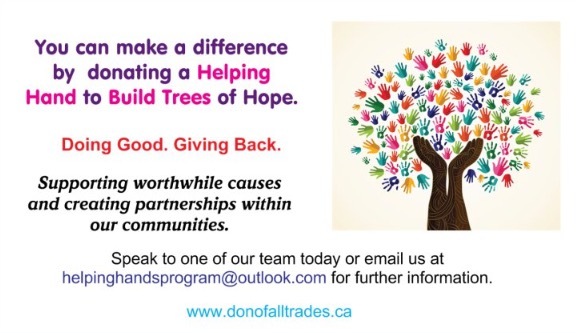 Please visit www.donofalltrades.ca community page to find out how you can make a difference. 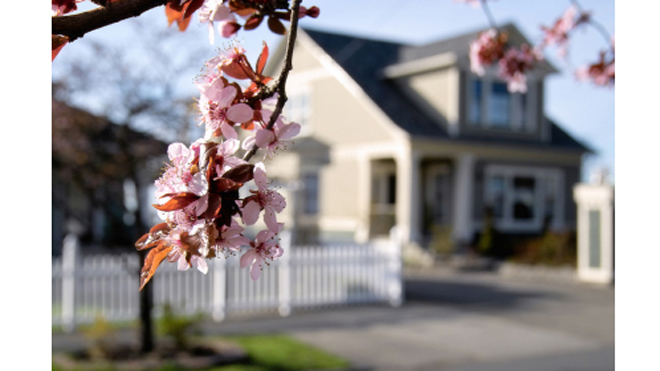 Now that winter has come and gone and you’re like most of us who welcomes Spring with open arms, keep in mind that this is the perfect opportunity to consider getting your home ready for spring.